Two man with almost the same record in one event. It's an intriguing fight between the former UFC fighter, Johnny Rees, and Strikeforce Veteran, Paul Bradley. Who's your bet for the Shark Fights 13? 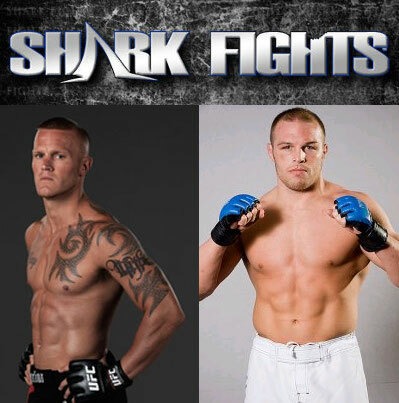 Former UFC fighter Johnny Rees will fight Strikeforce veteran Paul Bradley on Shark Fights 13. The intriguing event set for September 11 added both man with the same record on the card. Rees and Bradley both have the same 12-2 record, with one no contest. They also have similar career arcs; Rees won his first 10 pro fights before proceeding to UFC, then lost twice. Bradley, on the other hand, went 11-1 before having his shot with Strikeforce where he went 1-1. Shark Fights, which is expected to air from the Civic Center Coliseum in Amarillo, Texas via pay-per-view, headlines the fight of Keith Jardine against Trevor Prangley.